Earlier this month, Toronto-based Cuba Cruise announced a series of 7-night cruises around Cuba, to depart from Havana. 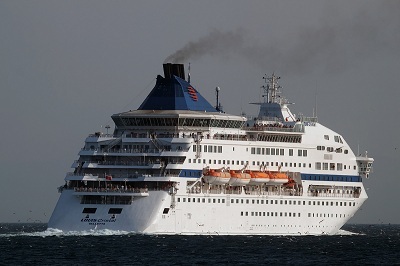 This is the second time round for Cuba Cruise as in July 2011 it announced a similar program of 7-night cruises by the same ship, the 966-berth Louis Cristal. These cruises were cancelled when the new cruise line said it needed more time to develop its sales channels. The season will run from December 16, 2013, to March 31, 2014, and will offer a total of 15 departures. Cruise-only fares for the 7-night cruise will start at $586 in double occupancy and run to $1,204 per person in an Imperial Suite. Fly/cruise ackages will also be available from Thomas Cook in Germany, and the Holiday Place in the UK, as well as a number of tour operators in Canada, which sent about a million tourists to Cuba out of the 2.8 million that visited last year. Louis Cristal’s 7-night cruises will leave Havana every Monday at midnight and call at Bahia Nipe, Cayo Coco, Holguin, Santiago de Cuba, Montego Bay (Jamaica), Cienfuegos, Trinidad and sail past Isla de la Juventud. Available on her itinerary will be six UNESCO World Heritage sites and four national parks. It will also be possible to join ship on Fridays at Montego Bay in Jamaica, where departures are scheduled for 11 pm. With the exception of a 5 pm departure from Cayo Coco on Tuesdays, most port departures take place between 9 pm and midnight, giving plenty of time to explore ashore. Although cruise lines that are controlled in the United States are barred from cruising to Cuba, other operators, mainly European, also cruise to Cuba. This year, these include Hapag-Lloyd Cruises and Thomson Cruises, both controlled by TUI, Fred. Olsen Cruise Lines, Swan Hellenic and Voyages of Discovery, while next year will see the addition of Star Clippers, which plans a Cuban series for 6- to 14-night cruises. These cruises are not sold to US citizens.